A couple months ago, I bought the EL wire starter pack from Adafruit with the intention of doing something ‘really cool’ with it. Alas, as with most things, it got shelved for a few months while I waited for the ‘really cool’ idea to strike. Then, this weekend, I road-tripped from Sacramento to LA. And like any good maker, I tried to think of a project to work on during the 6+ hour drive…enter the abandoned EL wire. I figured instead of waiting for inspiration to strike, I’d instead geek-ify my purse. 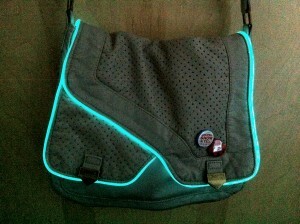 By lovingly adapting the TRON bag project by Ladyada & Becky Stern, I created the YATB (Yet Another TRON Bag). In all honesty, it was the perfect car project. 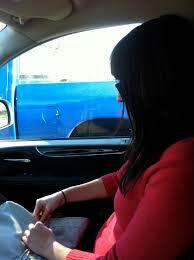 I do have a tendency to get a little carsick, and looking down at a bag and stitching didn’t always help that problem. Thankfully most of the drive wasn’t along curvy roads, so I didn’t run into that issue too often. 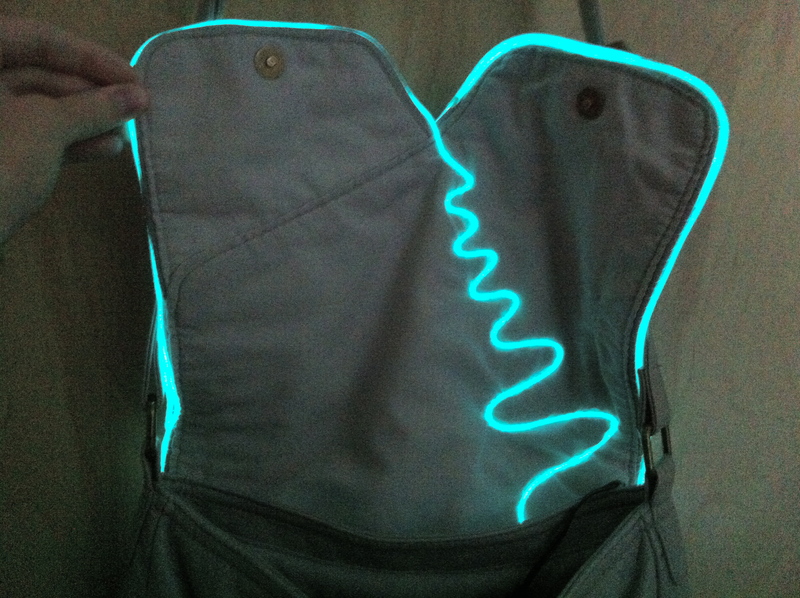 Plus, I fell in love with EL wire. Seriously, this stuff is the best. Super easy to work with and has the power to transform everyday items into geeky goodness, just like YATB. Since I was working via automobile, I had pretty limited resources and needed to devise a way to use all 2.5 meters fo EL wire. So I decided to get a little crafty on the interior of the bag. I was going for a damped sine wave, but couldn’t get the amplitude changes to come out just right without tape.